I think the bigger nightmare is staying home every weekend. The kids facebook and watch videos, my husband and I work and do chores. I’d rather pack and ski with my family any day! Systems, simply put, you need systems for your ski packing to streamline the process, ski checklists so you don’t forget someone’s’ goggles, or spend the morning in the ski shop instead of on the fresh snow. Ski Bag: Every skier in the family should have their own ski bag, labeled with name address and cell contact. In this boot bag: ski boots, long undies, helmet/hat, mittens, socks, neck warmer, ski pants and jacket – unless you are wearing it to the mountain. For little ski tykes, be sure to have extras of anything that could get “wet”! Check each ski bag before and after each ski trip to be sure everyone’s inner and outerwear is clean, dry, and ready to go. 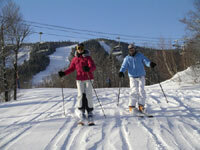 Pack separately your après ski clothes, pjs, toothbrush and a swimsuit! Dress rehearsal: Before your first ski trip, have a full dress rehearsal to make sure everything still fits. You don’t want to find out Saturday morning that Suzie lost one mitten last March. 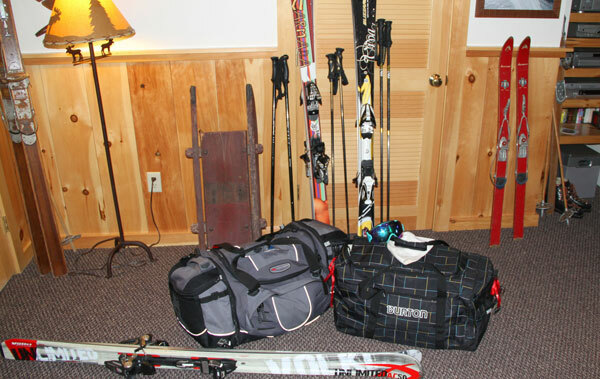 Ski Equipment: Store all your hardware: skis, boards, poles, in one place – so you can grab everyone’s gear and go. 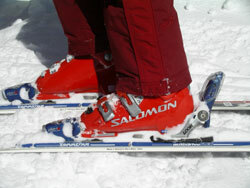 See our review of the best skis on the market. Ski Resort: Go on-line, visit the ski area’s website and check on lift hours, lesson registrations and times, rentals, parking, ticketing, everything you need to know. This saves considerable time at check in, guarantees space in ski camp and often unearths special discounts that weren’t otherwise promoted. See our favorite ski resorts for families. Lodging: Know your lodging amenities and check in policies before you go. Find out if you have a full kitchen, swimming pool, DVD player, etc. Then you can pack accordingly. Bringing a lasagna can save $$ – but can be a frozen flub up if you don’t have an oven. Airline Ski Bag Charges: If you are skiing in Europe or the Rockies, check out our tips on shipping skis, or renting from a ski rental service, versus paying the airlines for excess ski and boot bags. At the end of ski season, when you ski your last day in the Rockies, Europe, or at New England’s best spring ski resorts, properly wax and store you skis and put your ski gear away properly. I hope these ski travel tips and our how to plan a ski vacation guide will help you get to the slopes more often with less stress!